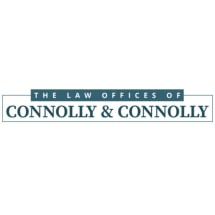 The law firm of Connolly & Connolly is located in Newburyport, Massachusetts, we handle real estate, estate planning, commercial litigation, business organizations, & employment law matters. The cornerstone of my success is the quality relationships that we maintain with our clients. You are treated with integrity and respect for their needs, goals, and objectives. We focus on intelligent legal representation and pledge to listen to and communicate with clients. We use the latest technology and cost-effective methods to provide services in a professional and friendly atmosphere.